Holiday Returns: Is Your Company Adequately Prepared? With the holiday season swiftly approaching, there is no better time to get ahead of the game with your post-holiday returns. As several businesses have incorporated eCommerce into their platform to expand their profits, it has opened a door into the eCommerce returns as well. In 2017, eCommerce returns in just the US cost nearly $113 billion. According to Shopify Inc., Brick-and-Mortar stores see an average return rate of 8-10%. However, when looking at the return rates of eCommerce sites, the rate doubles to be 20%. 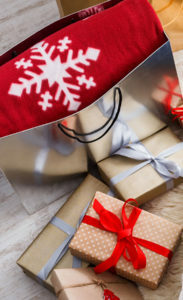 During the post-holiday season, stores see returns skyrocket up to 30% but can go up to 50% for some of the more “expensive products.” Holiday returns are an area companies tend to ignore until it is too late. With the rise in sales for the holiday season, many companies feel secure in their reverse supply chain plan. However, returning items is becoming an epidemic for several retailers as they cut deep in their profit margins and warehouse holding capability. Don’t get caught unprepared. Planning and setting up a Returns Management Solution before the post-holiday returns begin pouring into your warehouse will allow your business a seamless transition from managing holiday sales to post-holiday returns. Liquidity Services partners with leading retailers and consumer brands to optimize their returns management programs globally. By partnering with a proven solution provider, you can free up capital, storage space, employee bandwidth, time, technology and logistics resources. Liquidity Services will handle every aspect of your returns management process, so you can focus on your core business. Our process is scalable, so you can find the best solution for your returns management. No matter whether your company is large or small, your solution can be found with Liquidity Services. Be proactive and help your business get ahead of the post-holiday returns epidemic.